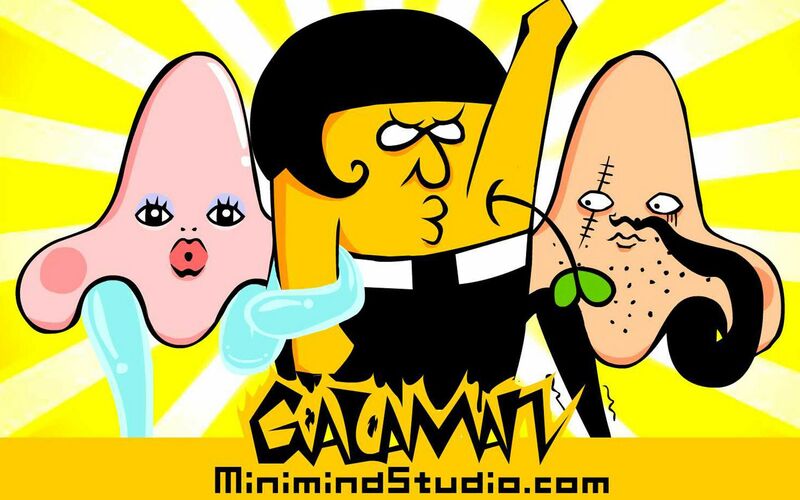 Synopsis GALAMAN is the underarm super hero from Hong Kong! He is now facing his largest crisis - Nobody clicks the ‘Like’ button in his Facebook page! His battle for ‘LikeS’ starts... Whenever A-Man raises his armpit, he will transform to be the super hero – GALAMAN! He fights against the monsters attacked Hong Kong such as God Nose, Porkies and Transgender. Armpits are no more embarrassing now on! Raise your armpit and welcome to the age of GALA! Johnee Lau is the creator of online episode animation《GALAMAN》, graduated from Digital Media in Hong Kong PolyU. 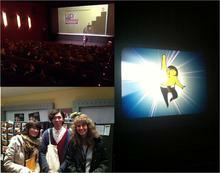 He is now creating character design, canned-food animation and illustration in Minimind Studio. 《GALAMAN》has been awarded Gold Award of Hong Kong ICT Awards 2012 and Silver Award of The 17th ifva Awards. Also, it was screened in The 36th Hong Kong International Film Festival and chosen to be the Best of Show from PolyU Design Annual Show 2011. He participated in many local design market to demonstrate his illustration series《Faster Piece!》. Through drawing illustration based on the topics provided from customers, he generates ideas of character design for his galaxy of GALAMAN! － Shared by Lau Kwun-yiu Johnee, director of GALAMAN, after attending The 12th up-and-coming International Film Festival Hannover in Germany, under the sponsorship of NAE.